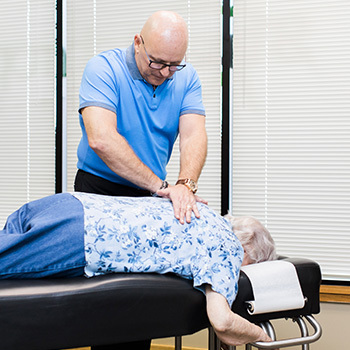 At Stuart Chiropractic Health Center, we believe that chiropractic care is the best natural way to help keep your body healthy and in a state of homeostasis. By focusing care on removing nervous system interference, we’re able to help you function exactly how you were designed to. Dr. Stuart is proud to make care accessible to families, athletes and patients of all ages. For patients who might be nervous, we’ll take the time to explain the entire process every step of the way so that there are no surprises. If you’re bringing a child in for care, we’ll happily show parents the gentle amount of force used to adjust infants and toddlers. Simply put, Dr. Stuart strives to keep you well, and will do everything he can to help you live your healthiest, happiest life. If you’d like to learn more about how chiropractic care can help you and your family, contact us today to schedule your no obligation consultation. We can’t wait to have you experience care with us!